I've been writing most of my life. I enjoy capturing meaningful or inspiring moments in time and describing them in great detail, hoping that others might also find time to enjoy it, or at least better understand how experiences affect other people. I also have to admit that sometimes I go back and read some of my favorite passages because I simply want to relive that moment in time. Learning about history is something I'm passionate about, as well. I enjoy the satisfaction I feel when I learn something new or contradictory to what I was taught when I was young. Understanding how events and the actions of people have shaped our own existence seems to me to be a worthwhile use of one's time. In an effort to share what I feel might be some of the more interesting aspects of history, I enjoy taking experiences and memories from my own life and interjecting them into some of the more significant historic events of which I have specific knowledge, or at least some speculation that I'd like to share with others. The Scrapbook Lecture is a perfect example of this. 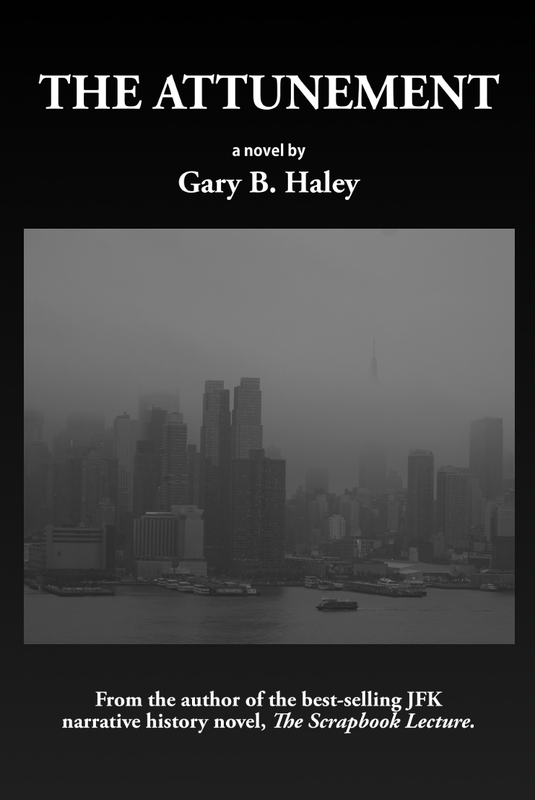 Some of the content of this novel is actually based upon a few of my own experiences, including a few of the conversations depicted in the storyline, which were adapted from my own memories of exchanges with others, or of discussions I happened to overhear. Allow me to take a step back and qualify what I mean by "I've been writing most of my life." I have been doing just that, however, the majority of what I wrote in the late 80's to the mid 90's wound up being part of a variety of technical specifications and documentation for the Defense Industry, and for the past fifteen years or so, most of what I've written has become part of some computer program, database, or website. Despite working marathon hours every week, and being a single father throughout the 80's and 90's, I have always tried to find a little time for myself now and then to be creative. These sporadic efforts, stretched out over a period of years, produced forty-some-odd projects in varying degrees of completion, each reflecting differing interests at the time they were started. Some of these works in progress, by the way, include projects that are semi-sequels to The Scrapbook Lecture. A few more steps back… When I was young, I read much of Edgar Rice Burroughs' work, and began writing amateur Science Fantasy short stories. In the early 70's, I finally discovered the genius of Robert A. Heinlein and Isaac Asimov, and my interests shifted from Science Fantasy to Science Fiction. This is a subtle distinction for some, but for others it is the difference between night and day. The biggest differences being that it is much harder to write believable Science Fiction and it takes a lot more research, which is, truthfully, what I have enjoyed most about writing. Sealing the deal, I knew I wanted to write for a living someday after having the pleasure and tremendous honor of sitting with Heinlein, or, "Bob" as he insisted we call him (and Ginny, of course) for a couple of hours in April, 1983. I probably don't need to point out that this encounter was one of the highlights of my young life, and still ranks close to the top, as far as meeting people goes. He and his wife spoke to me like we were old friends while talking about some of his early work, his experience with "showbiz", his latest novel at the time, Friday, George Orwell, the future of science in general, and space exploration. Not long after that particularly good day, I had a rather bad day. My home tragically burned and destroyed nearly everything I owned, including nearly everything I had written up to that point. The only thing that survived the fire and the smoke damage was what happened to be saved on a 5 ¼" floppy that I had uncharacteristically left in my IBM PC, which was a backup of a large portion of the early notes that eventually became The Scrapbook Lecture. On a more personal note, I am recently remarried to someone who deserves far better than me. My daughters have grown up and have kids of their own, so I have three perfectly wonderful grandkids. I also volunteer many hours a month for the Denver community where I live, I drive a hybrid that gets about 60 MPG, I listen to Smooth Jazz when I write, and NPR when I'm in the car. One last thought… for the record, writing about myself was the most difficult part of publishing The Scrapbook Lecture, which I hope you enjoy.